Monday, May 23rd, 2016 at 1:51pm. Weeks ago, the town announced it would be closing the beloved and highly trafficked Burt Reynolds Park West in Jupiter to add some new improvements. The plan was to close the park fro June 1 to December 31. But after an outpouring of concern from local boaters and fishermen in regard to the success of their business and leisure surrounding the world of boating, the town delayed the improvements. There has not been a new release of when the park will be closed for construction yet, but fear not local boaters, it will not happen this summer. The plans for the new park call for adding two-dozen parking spaces large enough to fit a vehicle and boat trailer and to reduce the number of spaces for vehicles without trailers. Monday, May 2nd, 2016 at 1:07pm. 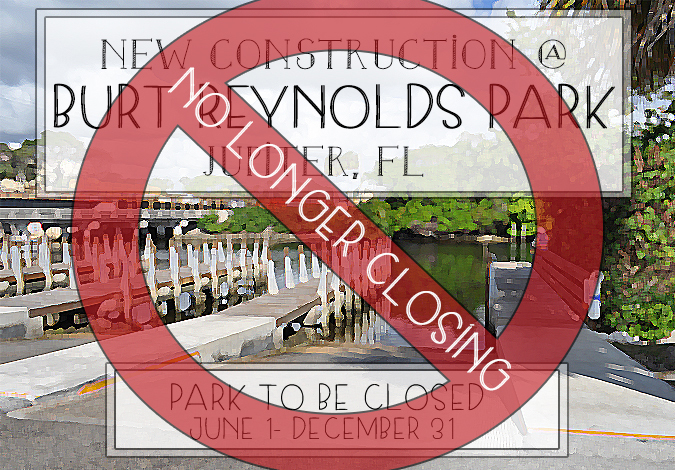 Beginning June 1, the popular Burt Reynolds Park West in Jupiter will be closing for construction for about 7 months. The $1.7 million restoration will add parking spaces, lighted underpasses, restrooms and more. 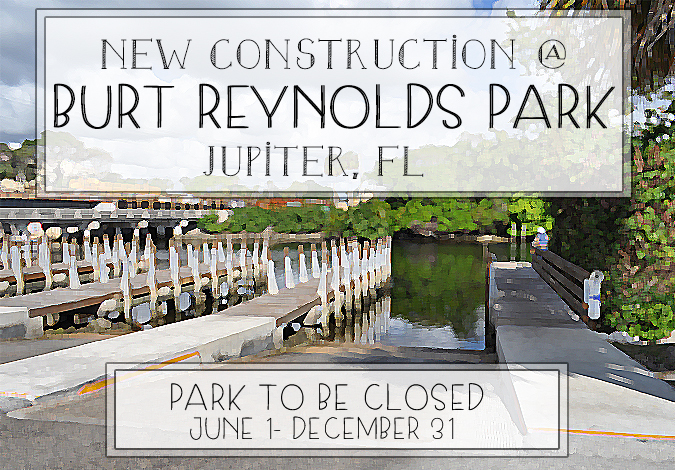 The original boat ramps at Burt Reynolds Park West were built in 1980 and will now be completely revamped and replaced beginning in the summer. The plans to modify the park are definitely going to be a big win for boaters and those who like to launch their boats, jetskis, kayaks and other water sporting goods here at Burt Reynolds Park West.